All MOUNTAIN SPRING FARMS homes currently listed for sale in Boerne as of 04/18/2019 are shown below. You can change the search criteria at any time by pressing the 'Change Search' button below. 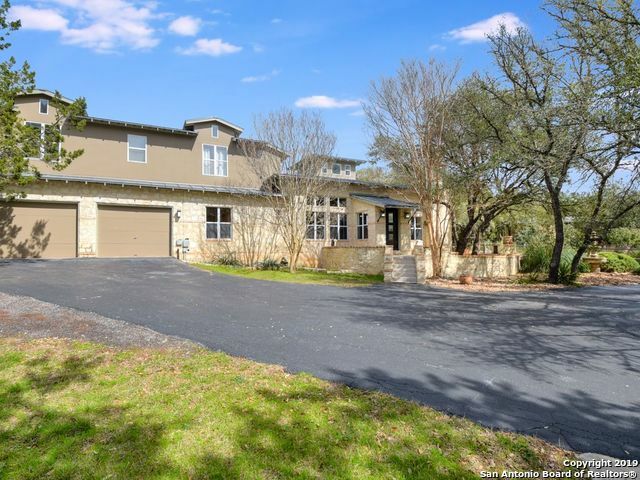 "Bring the horses to this Gorgeous Custom Hill Country Contemporary Home. An open floor plan which is situated on over 6 acres in this serene beautiful setting. The front yard has many trees and is perfect for deer watching. The pool area is so peaceful and quite you could lounge for hours .This 4 bedroom home has 2 sitting areas to enjoy and spread out. The one story guest house is 1200 sq. ft and is perfect for a family member or to use as a rental. Come take a look at this one of a kind ho"
"Stunning home situated on 5.27ac. w/unsurpassed privacy & panoramic views. Interior boasts 5 bedrooms-all w/en suite baths, dual masters, FR w/stone fireplace, Italian tile & wood floors, dramatic ceilings, seamless in/outdoor living, abundant storage & media/game rm. Backyard oasis includes pool, spa, waterfall, koi pond, cabana w/kitchenette, fireplace, bath and expansive patios. Recent kitchen update has granite, SS appl, dbl. ovens, huge pantry, knotty pine cab. & lg bar w/seating. Outstandi"